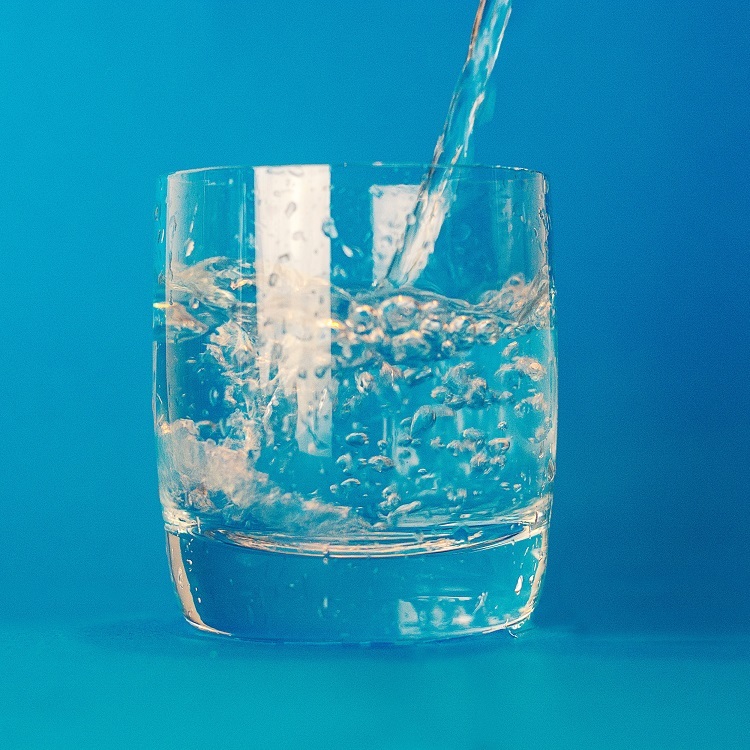 Are You Drinking Safe and Clear Water? What do you think our body needs the most: food or water? Different investigations have shown that although a human can live without food for about two or three weeks, without water we would die within just a few days. But how to ensure that the water you are drinking is really safe? Shungite will help you. Up to 70% of human body is made of water. Our blood needs water to transport oxygen and nutrients; our brain needs it to manufacture hormones, maintain mood, memory and overall performance. Water regulates body’s temperature, dissolve minerals and other nutrients needed for survival, allow the cells to grow and regenerate. In a word, we depend on water to keep all systems of our body functioning. Besides, water is needed to maintain the skin elasticity, fill in wrinkles and pores. Thus, we can say that water is the pillar of our health and beauty. And the matter of paramount importance is the quality of water we use. Only pure water can be safe for drinking. But it is really difficult to find one in modern polluted environment. In today’s world the vast majority of people live in big cities where we do not have an access to crystal water from mountain streams or springs. We are forced to rely on urban water-supply systems. Undoubtedly, these systems filter the water. But they use chlorine and other artificial substances for this purpose. Although these substances kill different harmful microorganisms, they also change the micro-mineral composition of water, creating toxic disinfection byproducts. To put it shortly instead of making the water safe, water-supply systems jeopardize our health filling it with new toxins. Therefore, prudent people who care about the contents of their glasses tend to set private water filtering systems. Nowadays there are numerous types of water filters for every need and budget. The one that is gaining popularity is shungite water filters. It has already proven to be your personal access to crystal spring water. Shungite has long been known for its water filtering properties. Due to its unique chemical composition and some physical characteristics, namely sorption, antibacterial and catalytic properties, shungite absorbs up to 95% of water polluting elements including organic compounds, heave metals and harmful microorganisms. What is more, shungite maintain optimal micro-mineral composition of drinking water adjusting to the useful elements. Besides, thanks to shungite’s healing and protective properties, this mineral makes the water life-giving with a number of therapeutic qualities. These are the reasons why shungite has been widely applied for water purification since ancient times. There are several options. On the one hand, you can just infuse some regular or elite shungite stones into tap water, wait for a few days and then drink shungite water fresh or use it for washing or bathing. Another option is to use a shungite cartridge for a pitcher filter. It is a quite cheap and easy way of water filtering. You just need to fill a pitcher with water and wait for about an hour. But you will purify only a limited amount of water. It means that the water you use for cooking, washing, cleaning or bathing is likely to be contaminated. Therefore, to get a permanent access to clear water and to ensure overall protection you should pay attention to more sophisticated shungite filters. The bright example is under-sink shungite filters. Nowadays it is considered to be the most popular and efficient way of water filtering. The operation of these shungite filters is based on so-called reverse osmosis filtration. It implies that contaminated water passes through a thin shungite membrane at a high pressure and all polluting elements remain behind. The major advantage of under-sink shungite filters is the ability to purify as much water as you need. Usually, you get an additional dispenser with the crystal water. 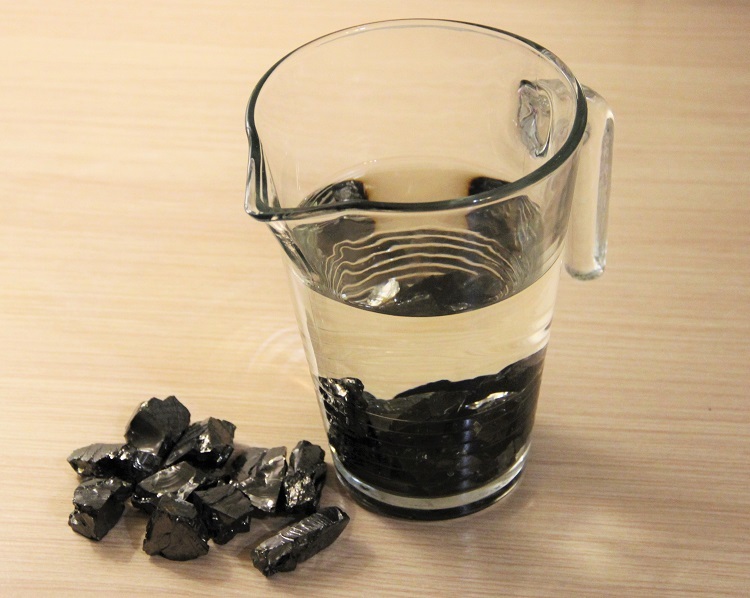 Moreover, shungite is widely applied in whole-home water filtration systems. This type of filters is aimed at providing you with clear and safe water from every faucet in your house. In these filters shungite is usually used alongside with some other filtering materials, namely carbon. Experiments prove that shungite and carbon complement one another increasing the efficiency of filtration. These filters clean the water of all impurities, including petroleum products. So as you may see there is a plethora of shungite water filters for any need and budget. But what makes them extremely valuable in comparison with other filtering systems? The major advantage is that shungite is a natural filtering instrument and is considered to be the soft way of water purification. It filters the water from impurities carefully, removes unpleasant odour and cuts water color index. Besides, shungite mineralize the water enduing it with therapeutic properties. The water filtered with shungite is not only clean and safe but also healthy. It can be applied to treat concrete diseases ranging from common colds and gastritis to asthma and diabetes. Another benefit is extended life-span of shungite water filters. They can be used for a longer time than other filters without any compromise in quality of purification. You do not need to buy new cartridges too often, that helps to avoid extra costs. Thus, if you care about your health and want to be sure that water you and your family are drinking is clear and safe, shungite is a perfect solution for you.